Finding your passion can be tricky, especially if you are like me and interested in many different things, but once you have found it, it can be the best thing you have ever done. I love writing to me it has become my passion, and it something I have always loved to do, but wasn’t sure how to share this with people. Then I discovered the world of blogging and it has become my passion to share the many things I am interested by creating blogs. I have made mistakes and like most things in life I am still learning, but that is the joy of it. Like a Stand up comedian wants to know what jokes worked and what didn’t, I want to know what blogs grabbed an audience attention and what didn’t. Being part of the blogging community has changed my life, it made me see that my words can be powerful to others and that makes me feel good to be able to reach out to others by the power of the internet. 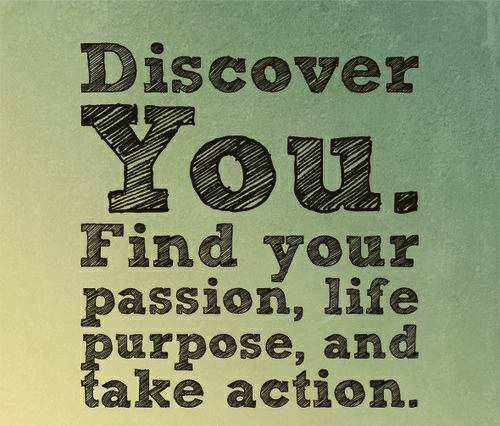 Check out this video below which talks about how to find your passion. Searching for your passion can take time, but be persistent. You have to train yourself and develop good habits that you can be passionate about. See my blog I wrote about My Daily Habits, and you got to start doing rather than thinking. Check out this video, by Marie Forleo. So go and find your passion, create and action plan to help you get you there, and keep pursuing as your passion will come.